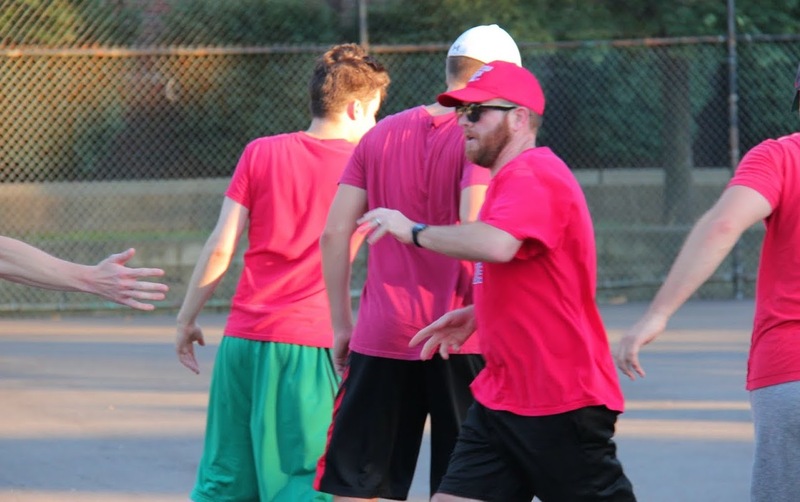 The Ham Slams trailed early but pulled away late to top Questionable Outfit 12-5 and head into the playoffs having won two straight and seven of their last ten. The Slams had done everything they could to earn the #3 seed in the playoffs, winning their final two games to pull to 8-12 on the year. They would need Eastbound & Dahn to beat Cookies & Cream to give them a one game lead in the standings over Cookies in order to claim the #3 seed. If Cookies topped Eastbound, the Ham Slams would finished tied with Cookies in the standings at 8-12 and would lose the tiebreaker due to run differential. Mike started for Questionable Outfit, and he started the game by retiring Tim, who had went 8-for-8 in the first game of week 10. The next batter, Dan, launched a solo homer to left, and the Ham Slams led 1-0 early. Mike then retired Alan to end the inning. 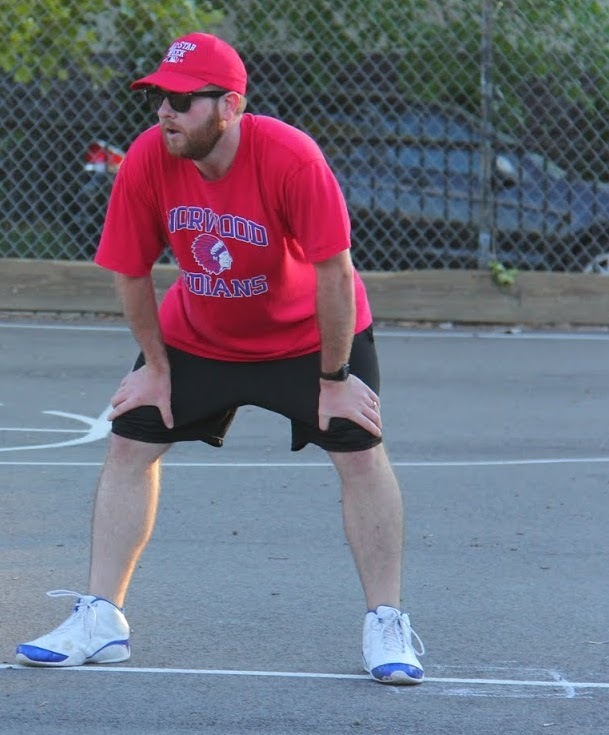 With two innings of eligibility left in week 10, Charlie started for the Ham Slams, and he retired Questionable Outfit in order in the bottom of the first. Mike escaped trouble in the top of the second, avoiding a potentially bad inning. He retired Steve to start the inning, but Tim and Dan each followed with singles. Continuing their poor base running from the first game of week 1, Tim was caught in between first and second for the second out of the inning, stranding both runners as the score remained 1-0. Questionable Outfit got to Charlie and the Slams in the bottom of the second, taking the lead with a slew of hits. Reilly singled to lead off the inning and moved to second when Mike followed with a single. Charlie got Bob to ground out for the first out of the inning, but Reilly scored on the play to tie the game at 1-1. Tom then followed with a two-run bomb to left, putting Questionable Outfit ahead 3-1. Reilly then doubled, and Mike followed with an RBI triple to make the score 4-1. Charlie then retired Bob to strand Mike at third, ending the inning. Down three runs, the Slams cut into the Questionable lead in the top of the third. With one out, Steve hit a solo homer, and the score was 4-2. Tim followed with his own solo shot, and the back-to-back jacks cut the deficit to 4-3. Charlie had reached his innings limit for week 10, and the Ham Slams turned to Tim from the bullpen. He gave up a single to the first batter he faced, Tom, but retired the next two batters to strand the runner at first, and the score remained 4-3. Down by a run, the Ham Slams exploded in the top of the fourth, pulling back ahead of Questionable Outfit. Alan led off the inning with a double, and two batters later, Tim hit an RBI single to tie the game at 4-4. Dan followed with a two-run jack, his second home run of the game, and the Slams led 6-4. Alan then hit his second double of the inning, and Steve drove him in with a two-run homer, making the score 8-4. Tim singled for the second time in the inning, and he scored from first when Dan hit an RBI double. Mike then retired Alan to strand Dan at second, but the Ham Slams had scored six runs in the top of the fourth to pull ahead by five runs 9-4. Tom would cut the Ham Slams lead with a one-out solo homer in the bottom of the fourth, but Questionable couldn’t rally, and the score was 9-5. The Slams added two insurance runs in the top of the fifth. Steve doubled to start the inning, and Tim followed with a two-run homer, putting the Ham Slams ahead 11-5. Tim would be the final batter Mike faced, as Questionable removed him from the game and put Tom on the mound. Tom retired Dan, gave up a one-out single to Alan, and then retired Steve to end the inning. Tim retired Mike for the first out of the inning, and Bob came to the plate with one out and 0-for-4 to this point. Bob was sitting on the second longest active hitting streak in the EWL at 55 games, and this would likely be his final at-bat of the game and the regular season. He hit a sharp ground ball to right field that went off the fence. Dan went to field it, but the ball slipped between his legs, and Bob reached first base safely. The single extended his hitting streak to 56 games, behind only Blose’s active streak of 62 games with a hit. Tim then retired Tom to strand Bob at first, and the Ham Slams continued to lead 11-5. The Slams would add a final run to their lead in the top of the sixth. Tim singled to lead off the inning and moved to second when Dan followed with a single. Alan grounded out for the first out of the inning, but Tim scored on the play, making the score 12-5. Tom then retired Steve to strand the runner, but the Slams led by seven heading into the final frame. Questionable Outfit went quietly in the bottom of the sixth, as Tim retired Reilly and Mike in order to end the game. The win moved the Ham Slams to 8-12 on the year and a Cookies & Cream loss away from the #3 seed. The loss dropped Questionable Outfit to 14-6. Questionable Outfit won the season series with the Ham Slams 6-1, having won the first six matchups between the teams before dropping this week’s game. – Tim earned the win in relief for the Ham Slams, giving up a single run on 3 hits in 4 innings. Charlie started the game and pitched 2 innings, allowing 4 runs on 5 hits. – Mike took the loss for Questionable Outfit, allowing 11 runs on 14 hits in 4 innings. Tom pitched 2 innings of relief, giving up 1 run on 3 hits. – Tim led the Ham Slams on offense, going 6-for-7 with 4 singles, 2 home runs, 5 runs scored, and 4 RBI. – Dan also went 5-for-7 for the Slams, with 2 singles, a double, 2 home runs, 2 runs scored, and 4 RBI. 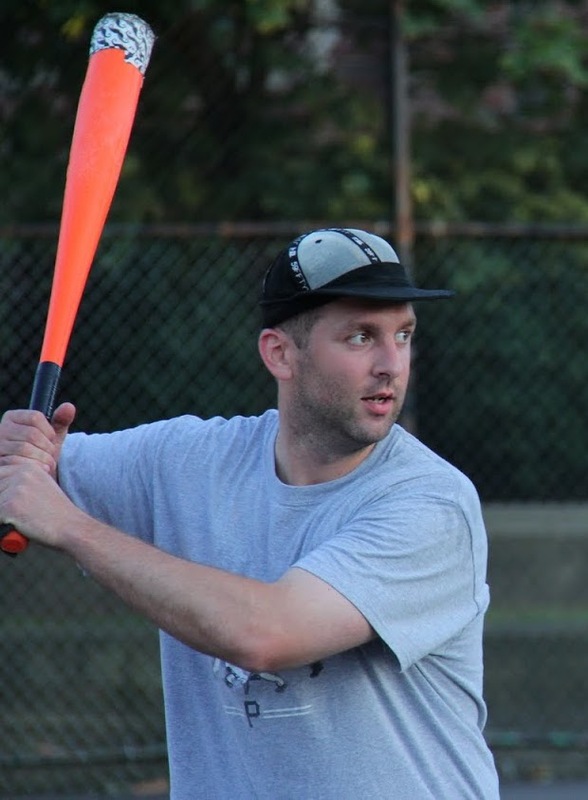 – Tom led Questionable Outfit at the plate, going 3-for-5 with a single, 2 homers, 2 runs scored, and 3 RBI.